Today, class, we will be talking about things obscure. Yes, things obscure, but not in the whole entire world, of course, but in the world of wine. Well, yes, we could’ve done without the dictionary, as the word is simple enough – but dictionaries exist for something, so why not use one. Now that we are clear on the meaning, let’s go back to our original question: “obscure + wine” – is it good or bad? Reading wine’s description, have you ever come across the words “obscure grapes”? I’m not talking about the stuff you read on the back label, as there you will rather find the words “indigenous grapes”, “traditional grapes”, or maybe, “local grapes”. But if are reading blogs, or any of the “peer reviews”, I’m sure you’ve encountered the “obscure grapes”. I get it – “obscure” often implies that we got something to hide in a bad way – but not in this case. Referring to the definition we just saw, “obscure” here simply means “not discovered or known about”. Need examples? How about Trepat, Bobal, Gros Manseng, Khikhvi – heard of those grapes? My favorite part is that obscure often translates into pleasure – lots of pleasure for the oenophile. Unlike most of the other food and drinks humans consume, wine taste is largely perceived. We have expectations for how Cabernet Sauvignon or Chardonnay should taste, and when we don’t find that taste while drinking one of the “well known” wines, we often get disappointed. But when presented with the “obscure bottle”, all those preconceived notions are largely thrown out of the window, and we take wine for what it actually is – which gives us a great chance to enjoy something we wouldn’t otherwise. It is not only wine drinkers who get more pleasure from the obscure grapes – when using those little-known grapes, winemakers are also not bound by any “customer expectations”, which gives them more freedom to express themselves. From the personal experience, I found that more often than not, I truly enjoy those obscure wines, and quite honestly, I like hunting down those unknown wines and grapes because of the pure mystery in the glass. By the same token, lesser known wine regions (read: obscure) have the same advantage for both oenophiles and winemakers. What do you expect when you see Czech Republic, Georgian Republic, Mallorca or Valle d’Aosta written on the bottle? Most likely, you wouldn’t know what to expect, and thus you would take the wine for what it is. However, when you drink Napa Valley Cabernet Sauvignon or Spanish Rioja, you have a set of expectations in your head, and you always are ready to say “ahh, this doesn’t taste anything like Napa Cab”. Presented with the Czech Pinot Noir or Chinese Cabernet Sauvignon, you have no choice but to try it and decide whether you like it or not. Same as in the case of the obscure grapes, winemakers get an opportunity to freely create without the need to comply with a given set of expectations. What we need to keep in mind though that the concept of “obscure” is very personal. For someone who lives in the Republic of Georgia, Georgian wines are very far from obscure. For someone who grew up in Conca de Barberà region in Catalonia in Spain, Trepat might be a perfectly familiar grape. But looking at the big picture, all of us, wine lovers, have our own, personal obscure territories – and this is where we might discover great pleasure. What makes it even more interesting is that the more we learn about the wine world, the more we understand how still little we know. And so we can keep on that road, shedding the light on obscure and making it (if we are lucky) dear and familiar, one discovery at a time. I wish you all, oenophiles, lots of pleasant encounters with obscure sides of the wine world – as this is where the pleasure is hiding. Cheers! More than 3 years ago, an interesting tradition was born in the world of wine blogging (a brainchild of The Drunken Cyclist, with the help of the supporting cast of characters) – the Monthly Wine Writing Challenge. Every month or so, wine bloggers en mass subject themselves to the masochistic practice of taking a random word and creating a soulful connection from that word to the beloved world of wine – all of it on a tight deadline. Writing a post for the Monthly Wine Writing Challenge (MWWC for short), I always want to put out a regular post, and then at the end, simply state “and by the way, this was written for the MWWC, ha”- just to show how easy it was. Of course, this practically never happens – like today, with the theme of our epistolary exercise been “Bubbles“, and my writing taking place during the very last hour (sigh). When oenophile hears the word “bubbles”, the first reaction it triggers is “Champagne!”. It gives us such a pleasure to write about the world of “Sparklers” – the ingenuity of Dom Perignon, the resourcefulness of Widow Cliquot, the battles of I-was-the-first-to-make-my-wine-sparkle. There are many other connections of the bubbles to the world of wines – think about bubbles you see on the surface of the juice during fermentation – those are some bubbles! Or think about simple, tiny bubbles of oxygen, making it through the cork and allowing the wines to age gently and gracefully – these bubbles are critical. And then there are maybe bubble issues for the wine collectors? Will that price of DRC or Petrus ever come down? Yes, I will take my own, different course, and will not write about Champagne or Sparkling wines. For sure. Do you believe me? Who said “no”? How did you guess? Banal or not, but I have a good reason to write about sparkling wines – Prosecco, to be more precise. A few weeks ago, I was offered to review some Prosecco wines. At first, my reaction was “I’ll pass”. But reading the email more carefully, my interest piqued. I always thought of Prosecco wines made from 100% of grape called Glera (yes, there are few exceptions, like Bisol, but just a few). These three Prosecco wines were all blended – Processo DOC rules allow up to 15% of other grapes in the blend – and the blends were all unusual, so the intrigued brain said “why not”? As we are talking about Prosecco, I need to share some fun facts with you – who doesn’t like statistics, right? French Sparkling wine and then Champagne had been around for a bit less than 500 years. Prosecco’s history is only a bit longer than 100 years, and only in 1989 (27 years ago!) Prosecco made it for real outside of the Italy (here is the link to my post about it, in case you are interested in history). However, according to Nielsen report, Prosecco sales in US in 2015 grew by 36% (Champagne – 8%). In 2015, Italy produced its largest Prosecco crop ever with 467 million bottles – that is triple of only 7 years ago; out of this amount, 48 million bottles were exported to the US – and still US is only #3 importer of Prosecco behind UK and Germany. Moving right along, let me decipher a cryptic title of this post for you (not that you cared much, right?). Zonin Prosecco White Edition Prosecco DOC (11% ABV, SRP $16.90, 91% Glera and 9% Pinot Bianco cuvée): simple overall. On the nose, touch of white fruit. Good creaminess on the palate, touch of white fruit, very restrained, good acidity, but again, overall is a very muted expression. 7/7+, Decent everyday glass of bubbly. Zonin Prosecco Grey Edition Prosecco DOC (11% ABV, SRP $16.90, 87% Glera and 13% Pinot Grigio cuvée): white stone fruit on the nose, white flowers. Palate: light, creamy, effervescent, refreshing, distant hint of sweetness, round, good acidity. 8-, nice upgrade from the “white”. Zonin Prosecco Black Edition Prosecco DOC (11% ABV, SRP $16.90, 90% Glera and 10% Pinot Noir cuvée): promising touch of fruit with lemon and rocky minerality on the nose. Perfect acidity, elegance, finesse on the palate, touch of white stone fruit, lime and noticeable nutmeg. Most elegant out of three, a “little black dress” if you will. 8/8+, one of the most elegant Prosecco I ever had. So, what color are your bubbles? My favorite was black. Cheers! Solitude: In Quest for Unattainable? If we think of solitude as a feeling of isolation, this clearly doesn’t sound good. We, humans, are social creatures. We want to connect, communicate, love, laugh, interact. Feeling isolated is really opposite to feeling connected and engaged, so let’s leave it as that – feeling isolated is not what we want, so this is not the solitude we want to talk about. Let’s then talk about solitude as the “state in which you are alone usually because you want to be“. Every once in a while, our connected sensors become overloaded. Too many things to do, too many tasks to finish. The new things which must be done arrive without any regard to the things which we are still doing. We are going somewhere all the time, without even understanding the direction, or what is even worse, without understanding of why we are going there. Solitude is our way out. Have you ever been up in the mountains, where there are no other sounds outside of gentle murmur of leaves and muted whisper of wind? How does it feel? Or may be instead of the mountains, you prefer to stand by the ocean, listening to the dreamy sounds of the slowly pulsating waves? With every wave gently crawling up the sand line, the tension becomes less, the mind becomes clearer, and our energy replenished. The challenge is that unless we are a lucky few, most of us can’t just magically happen to be by the ocean or up in the mountains when we need it the most. And to take things further to the dark side, most of us now live in the constant state of over-socializing. Think about all the tweets we have to respond to, facebook statuses and instagrams to like, snapchats and periscopes to watch. If we thought we were overloaded before, how can we describe our state now? The state of solitude, which we need for our own well-being, is more ephemeral than ever before. Yes, it is literally unattainable. While we are talking about life, this is a wine blog after all. Tell me the truth – you knew that I will turn it all to the wine, didn’t you? How does the wine relates to the solitude, you ask? To begin with, think about the wine while it is being made. 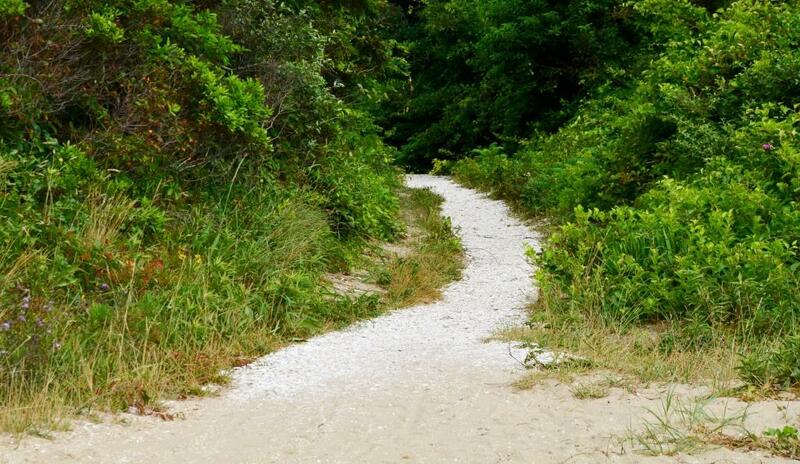 We are seeking solitude by the ocean or up in the mountains – but have you ever stood between the rows vines on a quiet day, without talking or looking at your phone? Did you feel relaxed and restored just by standing there? Or have you ever stood in the middle of the dimly lit cellar, breathing the wine smell and admiring the silence, thinking about the wines, quietly and patiently laying there? The wines spend month and month in that perfect solitude, left to themselves, to age and mature, before they will see you again. And then there is may be the best and easiest moment of solitude any wine lover can experience at any time. Yes, wine is meant to be shared, and it is wonderful when you are in the company of the people who share you passion. But think about that moment when you take a sip of wine, and for that exact moment, the world stops, it doesn’t go anywhere, it becomes quiet. You are left one on one with that wine. You ponder at it. You reflect. You are one on one with yourself, in your moment of solitude, brought to you by that sip of wine. I remember being in the Rioja seminar, and listening to our guide talk about his experience sharing the bottle of 80 years old Rioja (from 1922) with the group of friends (also wine professionals). He said that they poured the wine and had a sip, and the table was quiet for the next 5 minutes. Nobody wanted to say anything. Everybody were transposed. And they were in their moment of solitude. Let me leave you with that. Have you ever found your moment of solitude in the glass of wine? I hope you did, and if not – don’t worry, it will come. Just give it time. New Versus Old – Is Wine World Upside Down? This post is an entry for the 23rd Monthly Wine Writing Challenge (#MWWC23), with the theme of “New”. Previous themes in the order of appearance were: Transportation, Trouble, Possession, Oops, Feast, Mystery, Devotion, Luck, Fear, Value, Friend, Local, Serendipity, Tradition, Success, Finish, Epiphany, Crisis, Choice, Variety, Pairing, Second Chance. New. We all crave, adore and worship new in our lives. New experience. New restaurant. New baby. New job. New car. New iPhone. New house. New puppy. Add “new” to practically any object, and it instantly becomes something exciting. The “new” is not limited to the things and objects. New ways constantly appear, and we embrace them wholeheartedly. New technologies and new processes are born every day. Self-driving cars. 3D printers. We store our pictures in the cloud. It’s all new, new, new around us. We love new so much that “old” becomes almost en expletive. We might attach “old” to the experiences, but not to the objects! Think about it. When you are looking for the used car, the dealer will refer to such a car exactly like that – used. She might even say “almost new” or “gently used”. But you will never hear from the dealer that they want to offer you this old car – unless you are in the market for antiques – but even then “old” descriptor will be avoided. Or let’s say you are looking for a house. Ever heard agent saying “let me show you this old house“? We learn to be afraid of the world “old”, as we don’t want to get old ourselves. Talking about wine world, the word “new” is exciting as in any other aspect of our lives. In essence, the whole wine world is built on the concept of new – ever year there is a new harvest, and a new wine will be produced from the grapes of that new harvest. New labels are made for the wines. New wineries are founded. New tasting rooms are built. New vineyards are planted. New processes are invented to press the grapes, to ferment them, to preserve wines, to bottle. New packaging (wine in a can, anyone? wine on tap?). New is a most prominent concept in the wine world. But the concept of “old” is ohh so different when it comes to wines. “Old” in the wine world commands such a respect that we might not find in any other areas of human life. Let’s start in the vineyard. So you planted a new vineyard? Great. Now you need to wait until it will become old, as for the most of vineyards you need to wait at least 3-4 years before they will produce fruit suitable for winemaking. And that vineyard has to become old in the natural way, just by letting the time pass – there is no magic bullet. To top it off, the older vineyard gets, the better it is. 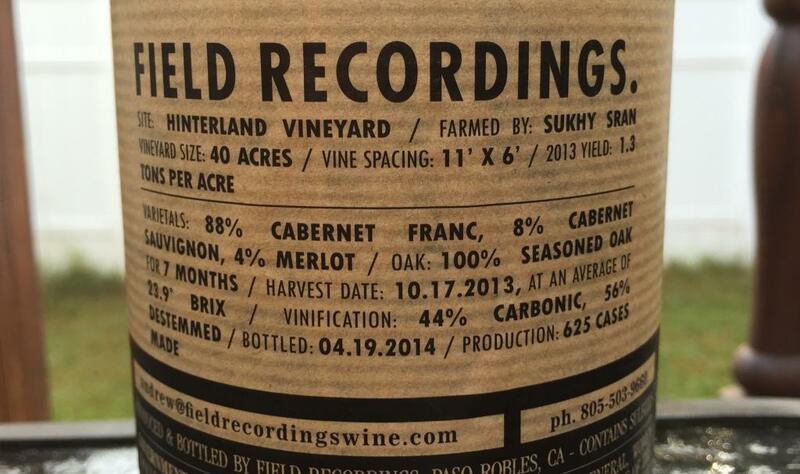 Ever seen the words “old vines” on the bottle? May be viñas viejas? Or how about vieilles vignes? These words mean exactly what they say – that this wine was made from the grapes harvested from the vineyards which had been around for a long time – 20 years, 30 years, 60 years, 100 years. The term “old vines” is typically not regulated, so there is no way of knowing exactly how old the vines are – but often the back label will give you that information. Very often that “age” is also reflected in the price – the older the car, the less it costs – but it is exactly opposite in the wines – the older the vines are, more expensive wine becomes (older vines yield less grapes with higher flavor concentration = tastier wine). “Old” doesn’t stop in the vineyard. Lots and lots of wines are aged before they are released – both by law and by the desire of the winery. By law, non-vintage Champagne have to age for a minimum of 15 month, and vintage Champagne for at least 3 years – in reality, most of NV is aged for 2-3 years, and vintage is typically 4-10. By law, Rioja Gran Reserva requires at least 5 years of aging before the release. By law, Brunello Rieserva can be sold not earlier than 6 years after the harvest. Many of the wineries in California offer so called “library releases”, when the wines are aged for you in the winery’s cellar in the ideal conditions. Some wineries in Bordeaux sell their wines only 10 years after the harvest, including First Growth Chateau Latour, which recently declared that “vintages will be released when the chateau believes they are ready to drink”. Let’s go down all the way – how about some 100 year old Para Vintage Tawny from Seppeltsfield in Australia, which is released … yes, 100 years after the vintage date. It is not that “old” is unquestionable winner in the world of wines. More often than not, “new” and “old” are clashing – sometimes in amicable ways, sometimes – not so much. One of the simplest “conflicts” – new oak versus used oak. This, of course, is what making winemakinng an art, as there is no hard and fast rule to when to age wine in old oak barrels versus new oak – each has its own benefits. Another form of the simple “conflict” is an internal fight which oenophile endures trying to decide when the wine from her cellar is ready to drink – there is also lots of good bad advice coming from all the wine professionals and the media – and we still are trying to figure that magical moment when the wine is perfectly “old“, or rather “aged” as we like to say, to maximize our pleasure. And then you got all those violent clashes between old and new – think about “traditional Barolo” versus “new style Barolo”. Think about fight for the Super Tuscans, attempts to introduce the new grapes in Brunello, or just any winemaker trying to do something new against the rules of the appellation. Now, what do you think? Is wine world upside down for the new and old? Is there anything else which humans do where old commands equal or greater respect than new? Cheers! Does the Wine Deserves Second Chance? This post is an entry for the 22nd Monthly Wine Writing Challenge (#MWWC22), with the theme of “Second Chance”. Previous themes in the order of appearance were: Transportation, Trouble, Possession, Oops, Feast, Mystery, Devotion, Luck, Fear, Value, Friend, Local, Serendipity, Tradition, Success, Finish, Epiphany, Crisis, Choice, Variety, Pairing. Let me describe to you I’m sure a very familiar situation: the bottle of wine is opened, wine is poured in a glass, you take a sip and … you don’t like it. Too sweet, too acidic, too sharp, too tannic, too “biting” – it is not always that you follow a sip with “wow” or “ahh”. What do you do next? Of course I understand that this question doesn’t have a single answer, as everything depends on the context. And as a side note, it is also implied that the wine is not spoiled – not corked, not cooked, not oxidized – it is simply not to your liking. Let’s assume that you opened the wine in the comfort of your home. You can simply put the glass aside and decide to wait and see if the wine will change (you of course hope for the better). If this happened in the restaurant, your choices are limited – if you just ordered this bottle out of your own will, in most of the cases you can’t send it back (remember, we said it is not spoiled) – you can ask for the wine to be chilled or decanted, but that is about all you can do. If you are at a friend’s house, you probably have only one choice – to smile and to say that this is delicious, unless you grew tired of that friendship long time ago, so then it might be a good opportunity to end it on a high note. No matter what setting it was, let’s assume you didn’t get to the point of liking the wine, and now it is in your memory as the wine-I-never-want-to-touch-again. Would you ever think of giving this wine another chance? Yes, I know. There is such an abundance of wine around us that if we don’t like something, why bother with any “second chances”? It is humanely impossible to taste all the wines produced in the world, so why bother with something which you were done and over with? Yes, by all means you have a point. But is there a tiny little voice inside your head, which says “may be that wine needed more time to open up”, or “may be I was just in the wrong mood”, or “may be my food overpowered the wine”? Do you ever get any of those “may be”s, so you would actually go and try the wine again, just because you are curious? I understand that this is matter of personality and an outlook on life in general, but more often than not, I find myself in the “may be?”, a “what if?” group. This is especially true when it comes to the wines which I open at home. If I take a sip of wine and don’t like it, I often put it aside, to try it on the next day. Or may be the day after next. Or may be even after that. One of my favorite examples is the bottle of 2002 Dunn Howell Mountain Cabernet Sauvignon, which opened up only on the 5th day (the wine was 11 years old when it was opened). When I took a first sip after just opening a bottle, the wine was tannic and literally devoid of fruit – there was no pleasure in that wine. Pumped the air out, put it aside for a day. Next day – literally no changes. And so was the story on the next day, and the next day. But I was not not ready to declare the wine a failure and just pour it out – kept giving it second chances. And the reward came on the day number 5, with layered fruit and delicious, powerful wine. I have another example from literally 2 weeks ago, when we opened a bottle of 1980 Lamborghini Colli del Trasimeno Rosso (I can tell you that I bought the wine strictly on the basis of the fun name – Lamborghini – a car which I’m sure anyone would be happy to drive at least once). The wine was opened, went into a decanter – and for the whole evening nobody liked to drink it, as it tasted more as brine than the wine. I can’t tell you if I was giving the wine a conscious second chance, or was simply lazy to pour it out. Next day before clearing the decanter I decided to take a little sip – why not? And it appeared that the wine actually developed into delicious, mature wine, with the nose of tertiary aromas and palate full of sweet plums. Not the most amazing wine I ever had in my life, but perfectly delicious, mature wine which delivered lots of pleasure. I could go on and on with similar examples, but I’m sure you got my point – the wine could’ve been discarded as “bad” and the great pleasure would be missed, if it wouldn’t be for the second chances. So, what do you think? Do you have any “second chance” wine stories of your own, maybe with the happy ending? Do you think wines deserve their second chances? Cheers! This post is an entry for the 19th Monthly Wine Writing Challenge (#MWWC19), with the theme of “Choice”. 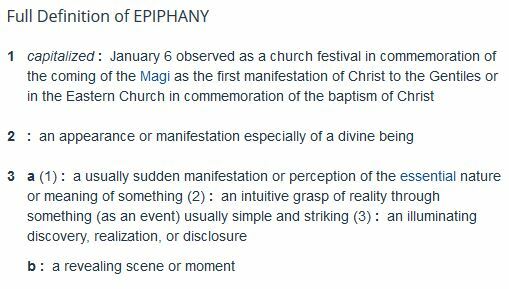 Previous themes in the order of appearance were: Transportation, Trouble, Possession, Oops, Feast, Mystery, Devotion, Luck, Fear, Value, Friend, Local, Serendipity, Tradition, Success, Finish, Epiphany, Crisis. Choice. Simple word, isn’t it? But think about how powerful the concept of “choice” is. Or better yet, think about how scary the word actually is – think about times when simple phrase “this is your choice” sent chills down your spine? Yep, “choice” is an interesting word. Choice is closely related to the concept of freedom. When you don’t have freedom, you usually have no choice – well, except may be one – to fight for your freedom or not. Surprising or not, but sometimes we prefer not to have that freedom of choice. Life becomes so much easier when the choice is already made for you. This might not be the best choice (it rarely is) but then a person is happy as the life seems simpler. Choice is hard, choice is difficult, choice is emotionally and intellectually draining. When choosing, we can not know if we are making the “right choice”, and that makes us wary, frustrated, tired and unhappy. It important to understand that “do nothing” is also a choice, not an absence of it. We are choosing it – “doing nothing” doesn’t happen by itself – this is what we decide, we “do nothing” by choice. We make choices every day, from the moment we wake up until we go to sleep. What to wear, what to eat, which book to read, which task requires our attention first, and which can wait. Most of the choices we make don’t have long term consequences – eggs Benedict versus scrambled eggs is important only for a few minutes you will enjoy your food. Black pants versus grey pants is not the matter as soon you step out of the house. But some of your choices can be extremely far reaching – taking or declining a job offer, going for the third child or not – these choices will shape your life and you will feel their effect for a long while. Let’s now take a look at the winemaking. I would argue that a lot (most!) of choices made in the winemaking have long term consequences. The wine starts in the vineyard. Which grape to plant? Pinot Noir, Cabernet Franc or Aglianico? Pinot Noir, you said? Which clone? Dijon (which one then exactly), Pommard, AS–2? Now you are growing the grapes with numerous choices regarding irrigation, pruning, canopy management, protection against insects. 5 years down the road your are ready to harvest grapes to make the wine. Harvest date? Hand versus machine? How to crush? Choice of fermentation temperature? Choice of yeast – natural or synthetic? If synthetic, which one of the thousands available in the catalog? Malolactic fermentation or not? Choices, choices, choices… The effect of many choices will not be known for years, sometimes tens and tens of years, until someone will open a bottle of a 50 years old wine, take a sip and say “wow”. Only then we might know that we made right choice years back. Or not. Yes, we face the drama of choice every day. You know what is important in dealing with this drama? Don’t look back. The choice is made, and it is a part of the past now. The worst thing you can do is to take yourself on the mesmerizing road of “what would’ve happen if I wouldn’t make that choice, if I would’ve chosen differently”. Here you have only one choice – to move forward. Yes, you can’t change or undo the past choices. But you can “do over” – it is always your choice. If you planted the wrong grape, you can replant vineyard with the new one. If you’ve chosen profession you are not happy with – make a choice to change that, learn something new and choose a new path. You have no luxury of stopping. The very next moment, you will have to make a choice again. And again. And again. Life has an endless supply of the choices for us. Let’s embrace them. Cheers! Let’s start with the theme for the new round of the Monthly Wine Writing Challenge, #19 (#MWWC19 for short). The winner of the previous round, Traveling Wine Chick, have chosen the theme, and it is (drum roll, please) … “Choice”. This theme sounds a lot simpler than many of the recent ones, such as “Crisis” or “Serendipity”, but there lies the challenge of making such a regular word a main element of the blog post. Well, good luck to all, and for all rules and regulations, please consult this post – most important is the submission deadline, which is September 14th, so you have enough time to get your creative juices flowing. 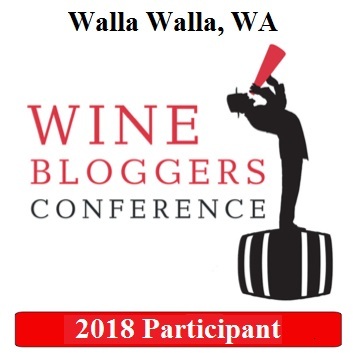 Next I want to mention that Wine Bloggers Conference 2015 (WBC15 for short) will be starting on Thursday, August 13th, and it is taking place in the Finger Lakes region. 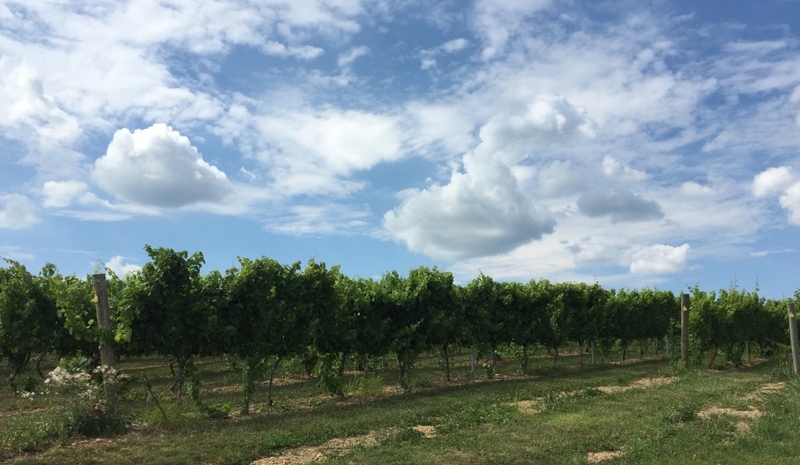 Lately, Finger Lakes wineries had been producing the wines of notice, moving past excellent whites into the world of reds. I’m sure that all the attendees will be into a treat and will find quite a few surprises, such as Saperavi wines – I heard that they are delicious, and wineries have a hard time to keep them around (sell out very quickly). 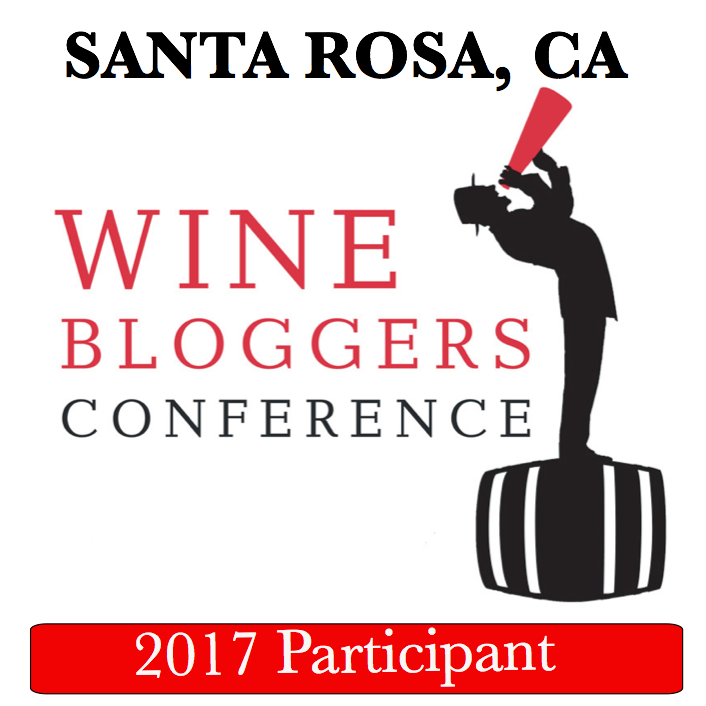 I will not be attending, but I wish to all the bloggers to have a great time and taste a lot of great wines. And I’m really curious what the location of WBC16 will be – I hope it will be the Texas, as Texas wines are nothing short of phenomenal and it is time for the people to get to know them. Now, let’s talk about an interesting subject – promotion of your blog. When it comes to the blogging, most of us write because we enjoy it – but we also want to be found and our writing to be enjoyed by others, and that is what “blog promotion” is all about. I recently came across an interesting article called 30 ways to promote your blog posts, which contains wealth of great advice. Among other tools, I saw a mention of Stumble Upon, which I heard before, but never used. I checked with some of Connecticut bloggers on Facebook, and many people find Stumble Upon a great tool, so I decided to add this capability for the blog post sharing. I learned that WordPress.com used to offer the Stumble Upon sharing button, but not anymore – but then I came across this post which provides detailed instructions on how Stumble Upon button can be added. Without talking about promotion, I found lots of interesting articles with the help of StumbleUpon – here is one example for you – “22 Foods You’ve Probably Been Eating The Wrong Way Until Now“. If you use Stumble Upon, I would like to know what is your take on it. And by the way, I don’t know if you are aware of the two pages I have in this blog, under the menu of Resources – one of them is called Best Blogging Tips and second one is Technical Tips for Bloggers – I use those pages to collect interesting articles and “how to” as it relates to the blogging – check them out. Last for today, really a local update – I made changes to the page called Grapes of the World, to properly reflect all the grapes I tasted so far in my Wine Century Club journey. Why is that important? Will tell you very soon. And we are done here – the glass is empty – but the refill is on the way. Until the next time – cheers!